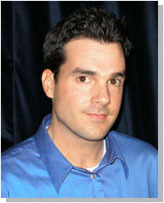 John Reese (TrafficSecrets.com) - Articles - Great! So Now Your Web Site *Sounds* Like Crap. Internet Marketing 'Guru', Expert, Pioneer. Article #1 - "The Biggest Marketing Mistake"
Article #2 - "Double Your Profits Now!" Article #3 - "Don't Waste Precious Online Real Estate"
Article #4 - "More Wasted Online Real Estate"
Article #5 - "Highlights Of My First Seminar Presentation"
Article #6 - "Great! So Now Your Web Site *Sounds* Like Crap"
Article #7 - "How *Crap* Can Dramatically Boost Your Profits!" Article #8 - "The 'Game' Is Changing, Are You?" Article #9 - "Climbing Mount Profit (Starting From The Top)"
Unless you've been living under a rock, you've noticed that Armand Morin's AudioGenerator service is taking the industry by storm. It's not just because it allows you to add audio to your web pages. Heck, there are some much cheaper ways to do that. It's because he's made it brain-dead-simple to do it. You call a phone number, record your message, and get code you paste to your site. Whamo! You've got audio on your site. Everyone is rushing to add audio to their sites. They are recording all kinds of little messages that their web site visitors can listen to. I've seen some crazy stuff already. But here's a REALITY CHECK. Not many people have taken the time to THINK about the audio they are going to put on their sites. People think you can just put any audio on the site and it will instantly increase sales. Audio CAN be very powerful for your marketing. It CAN increase your sales. But it can also HURT your business if used incorrectly. That's right, it can LOSE you business. Don't just think because you add audio to your site that you will start making more money. Unfortunately, it doesn't work that way. Unless you split-test your site you won't know which version pulls better. You won't be able to tell if the audio version FLOPPED. And believe me, I know for a fact that some sites that have added audio are probably producing MUCH WORSE since they added it. So the first thing to keep in mind is you need to split-test this just like ANY other change you'd make to your marketing. The results will tell you if it improved your marketing or made it worse. That's the beauty of direct marketing. The results speak for themselves. It's all about Yes or No -- the "Maybe's" don't pay the rent. CAREFULLY SCRIPT AND PLAN YOUR AUDIO *BEFORE* YOU RECORD IT. Before you go to record that audio file that you will add to your site, you need to take some time and think about what you are going to say. Your audio should contain BENEFITS of whatever it is you are marketing. The same rules apply with copywriting. Ideally, your audio should contain something that the rest of your copy doesn't. Certainly, you can restate some of the same benefits and points in your copy, but ideally if you add some additional info it will make it worth the prospect's time to listen to it. And just like everything else, test until it hurts. Test different audio recordings. See how your prospects react for each one. See which ones have a more positive effect on your sales. I hope to write more about the use of audio in your marketing in a future newsletter. There are many techniques I have discovered that are very powerful. Stay tuned. (c)2003 MarketingSecrets.com. All rights reserved. Legal - Neither Mike Merz, nor Internet Marketing For Newbies LLC, are responsible for claims made by their respective affiliate partners. Your contact information will not be shared, traded, or sold.